What do you find remarkable? Something that is so interesting or exciting or different that you just have to remark on it. This blog will share some of the things and experiences I find remarkable. Success. What are we waiting for? That’s a quote from Gimli, son of Gloin, in the Lord of the Rings: Return of the King movie. It’s near the end of the story and it’s at a point where the good guys have done just about everything they can to beat the bad guys. For those who have not seen the movie or read the books, SPOILER ALERT. The final outcome is in the hands of the two Hobbits, Frodo and Sam. They must destroy the One Ring by dropping it into the lava pit of Mount Doom which just happens to be deep inside enemy territory. In a last ditch effort to ensure Frodo and Sam have every chance of succeeding, the Fellowship and their assorted allies are going to attack Sauron’s forces in a no-hope, no-win attempt to distract the forces of evil. There’s the certainty of death because Sauron’s side outnumbers them by a large margin. If they can distract them long enough, though, then Frodo has a small chance of success. So…what are they waiting for? What an attitude to approach a project with! Perhaps, ‘death’ is too strong a word so we may want to change this to ‘Certainty of failure, small chance of success. What are we waiting for?’ Don’t let the possibility or even certainty of failure stand in the way of success. Go for it. Staying in the same place guarantees that the venture doesn’t work. Moving forward gives you that small chance. 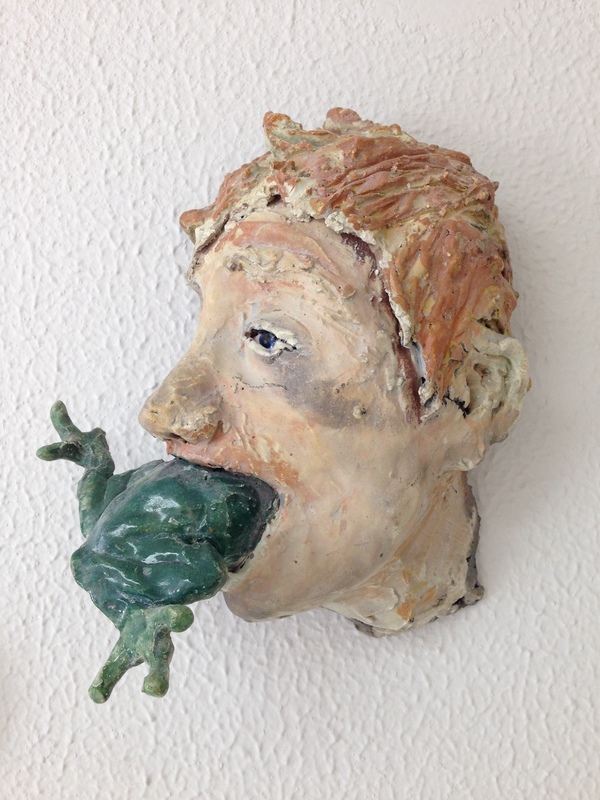 I was reminded of the advice to ‘Eat the frog’ when my kids attended a party at Kids ‘n Clay Pottery Studio in Berkeley recently. The photo above is of an art piece on the wall at the entrance to the studio. There were many examples of creative artwork hanging there but this one caught my eye because I’ve heard the advice in various forms over the years. What I didn’t know, is that it originated with the great Mark Twain. In my experience, this principle is effective. If you take on your biggest tasks – the ones that have your tummy in knots and your knees going all trembly – at the start of the day, things can only get better. That presentation you’re avoiding. The massive report with all the financials. The next chapter in your book. The pile of ironing (I hate ironing) in the closet. If you clear the tough things off your task list, you start the day off in a shipping mood. Then you have time to accomplish all the other things without the stress and pressure of the large to-do items hovering over you like rain clouds. The enormous mental relief you gain from shifting the heavy weights is enough to have you breezing through the rest of your day. The sense of accomplishment always pushes you to ship even more. In all honesty, I don’t follow this advice nearly enough. I procrastinate with the best of them. When I do apply the advice, though, and see the positive results, I’m left wondering why I don’t do it more often. Time to start eating more frogs! 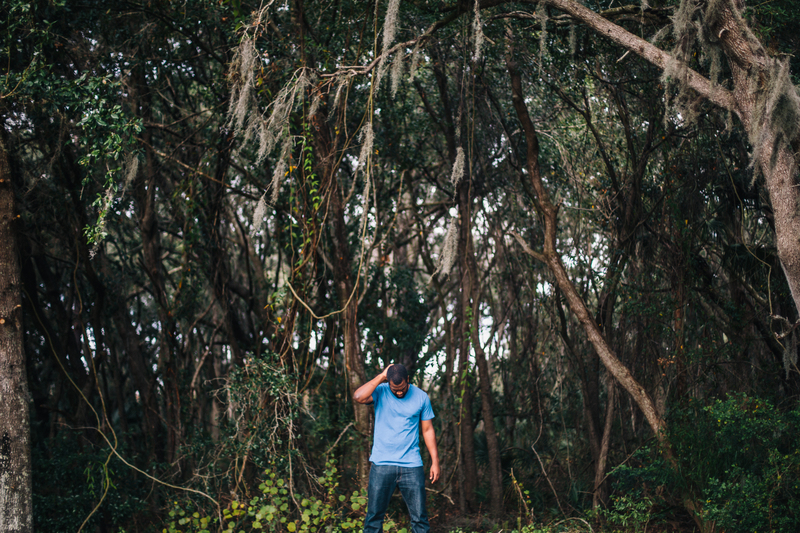 Alone in the woods? Maybe it’s time to start networking. According to the Merriam-Webster online dictionary, networking is the exchange of information or services among individuals, groups, or institutions; specifically : the cultivation of productive relationships for employment or business. This morning I read a blog post by Tai Goodwin on the Careerealism website listing the Top 10 people you must have in your network to find a job. In the article, you’ll find a short profile of 10 different types of people you’ll find in everyday life in just about all business environments. I spend a lot of time on LinkedIn reading articles by top influencers in different businesses, checking up on the changes in careers my current and past colleagues are doing and connecting with people I’ve recently met and had an interaction with. I’ve moved around a bit for work and in my different jobs, I’ve worked with numerous people. I now have more than 1000 connections on my profile and a large percentage are not recruiters. Seriously, though, from those many connections, I can definitely identify a number of examples of the people described in Tai’s article. My hope is that my connections identify me as someone who is amongst those top 10 people. I strive to be a good connection to have. But back to the question posed in the title of this blog post – Is networking necessary? In my experience, if you ask a group of people this question, you’ll hear a variety of answers with many compelling reasons for those answers. Looking at the definition from the dictionary, though, I believe that it is necessary. If you don’t cultivate productive relationships in business (and I’d extend it to your personal life too), then how do you propose to achieve any kind of growth or forward momentum in your life? We are all reliant on other people for something. We are all interconnected. In order to achieve anything in life, you need other people. By extension then, without productive relationships to drive , you’re just marking time, stuck in a rut and moving nowhere. What you will find, though, is that as you continue actively meeting people and trying to connect with them in a productive relationship, you’ll have more opportunities coming your way through the connections. Also, you’ll have more connections to pass opportunities on to. You may be that person in somebody’s top 10 who makes all the difference in their lives because you’re a great connection to have. You need to be the connection you’d like to have. I meet a friend who studied with me in McDonald’s and ask about jobs at the company he works for. There happens to be an opening which I apply for. I’m interviewed for the job by a number of people including another friend who also studied with me. I had remained in contact with both of them after we had parted ways. Now we’d all be working together again. I met a colleague from another country at a training in Germany. We hit it off during a week when I experienced snow for the first time (a blog post for the future maybe). After the training we continued exchanging emails and phone-calls. There was an incident at that training which linked all attendees forever (again, a post for the future). About a year later I was looking for a new opportunity. I called him up – there was an opening on the team he was working for. I applied and managed to successfully compete for the role. Both this connection and other’s I’d met from this team all recommended me to the hiring manager after they heard I had applied. At a regional meeting, I met one of the senior managers in the organisation. We had a number of very positive exchanges around the topics being discussed at the meeting. His insight was extremely valuable to all of us and helped us make some key decisions that week. I spoke to him at lunch on the last day and described my career aspirations. I asked him for some advice about how to gain the necessary experience to compete for the sort of role I had in mind. He was very forthcoming and gave me some good pointers. About a year later, a role opened up in another part of the business. I hadn’t even seen it posted. But he thought about me and our discussion and recommended me to the hiring manager. She contacted me and asked me to apply for the job. As you can tell, my career thus far has been greatly influenced by my network. My day-to-day work life has also been greatly influenced by my network – I enjoy my job because of the people I work with. Because of my network. What is your network like? Do you have any stories you want to share about your network? Please comment.